Webster defines word-magic as magic involving the use of words in a manner determined by a belief that the very act of uttering a word summons or directly affects the person or thing that the word refers to. My spelling is so bad I’m not sure I have to worry about any words I write casting spells. Half the time, spell checker can’t even come up with choices for what I’ve typed. I do believe, however, that once the words form into sentences and sentences into paragraphs another magic occurs – story magic. 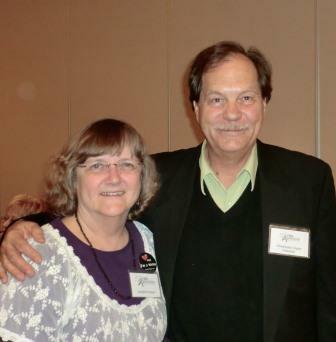 Vogler calls it The Hero’s Journey, a mystical path that readers sense on some level. Don’t you have a sense of magic when you read or hear some stories? It’s the incredible ability of certain authors to cast a spell and transport readers into an imaginary world with their word pictures. But there’s another aspect of word magic, too. Consider the adage, “Sticks and stones may break my bones, but words can never harm me.” As much as we might want, or wish, the saying to be correct, the truth is words have the power to hurt or heal us. Whenever we speak, we should choose words carefully. As writers and storytellers, like the shamans or medicine men and women of ancient cultures, we should recognize the incredible power we have with our words. 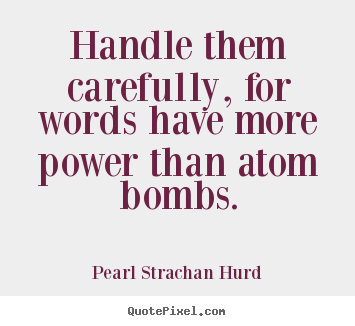 Pearl Strachan Hurd was a British politician in the 1930’s whose sole legacy is this quote, emphasizing the destructive power language can have. Atom bombs conjure images of death, violence, and war. Not a pretty picture at all. Ms. Hurd’s quote very dramatically reminds us of the need to be cautious with our words and the power of word-magic.